Footwear is always topical at this time of year thanks to careless Cinderella and her mislaid slipper. 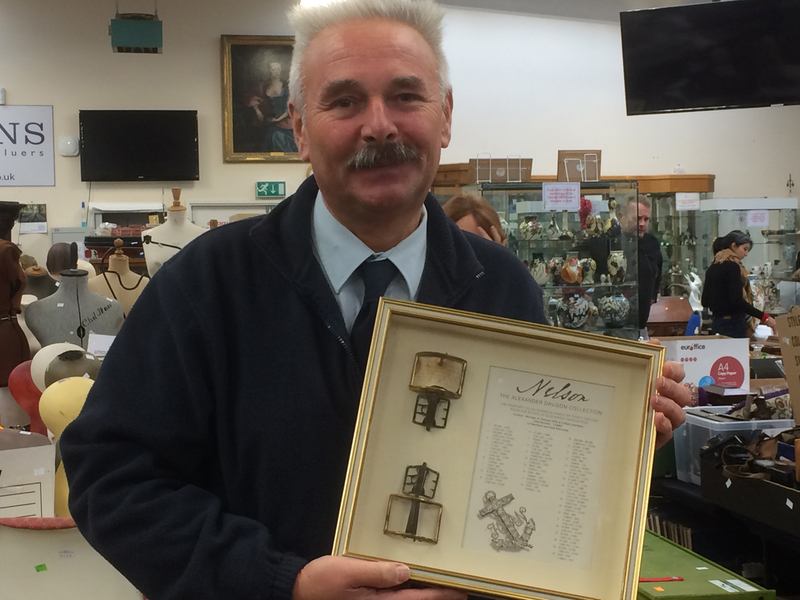 So it’s a perfect chance to bring news of a couple of intriguing items sold at Derbyshire saleroom Hansons. 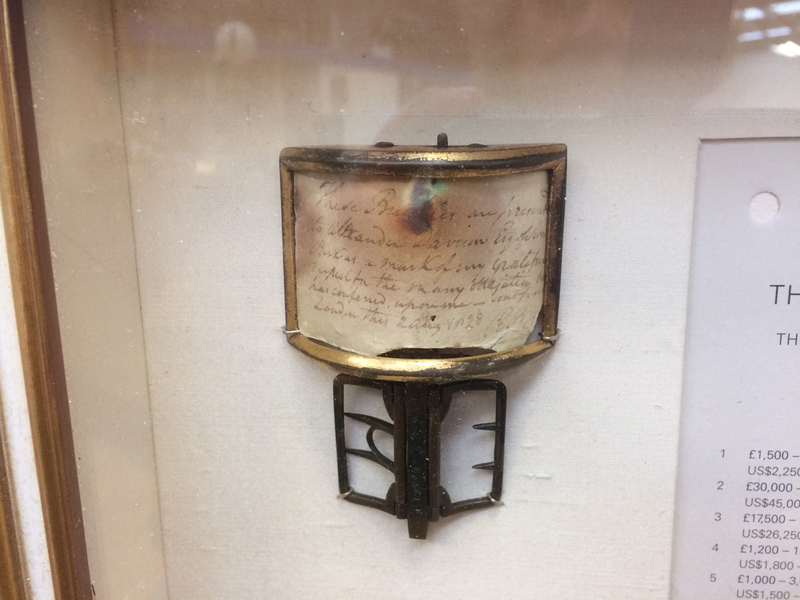 Fresh from finding a pair of sandals once owned by Lawrence of Arabia, shoe buckles believed to have been worn by Nelson at the Battle of Trafalgar have surfaced in the same auction. The former made a mid-estimate hammer price of £2600 on December 20 (see ATG online preview for the full background). 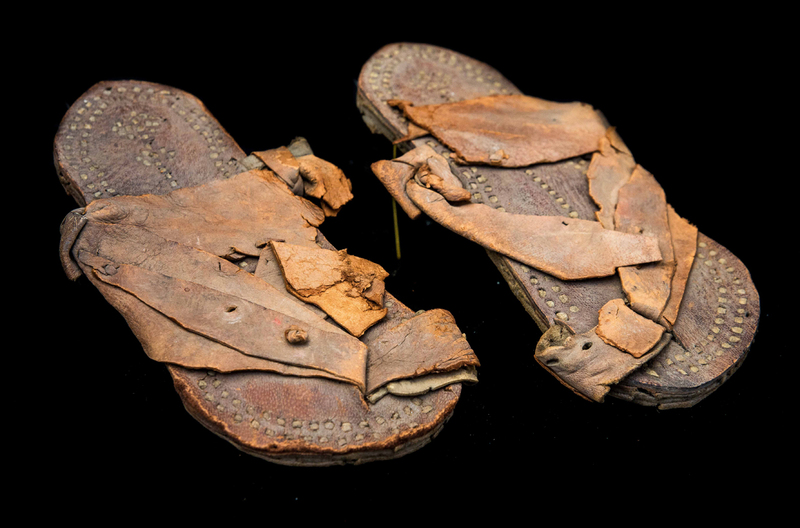 The shoe buckles sold for a top-estimate £5000. 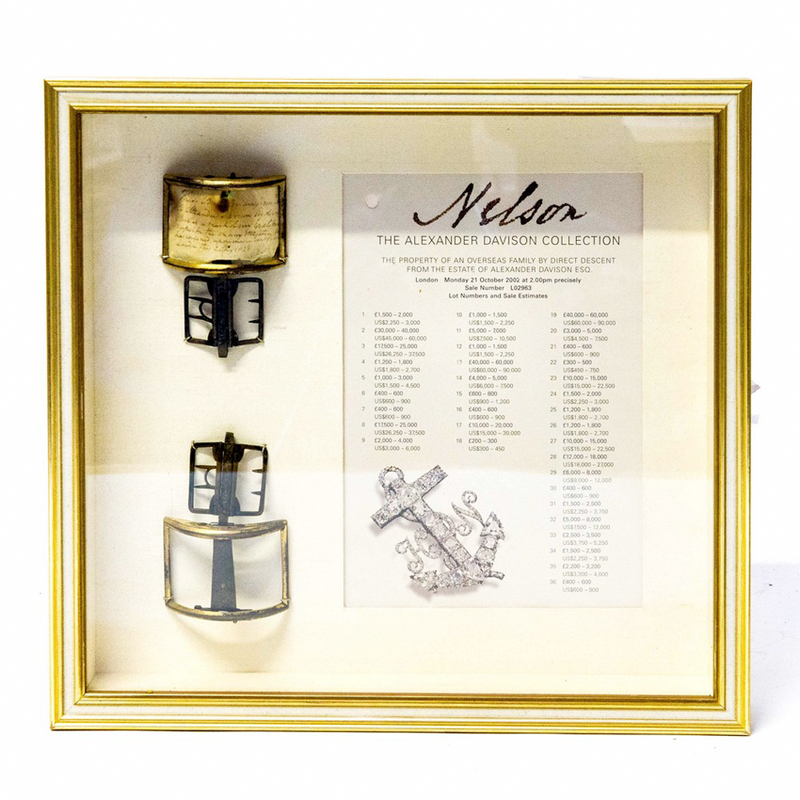 Shoe buckles believed to have been worn by Nelson at Trafalgar, according to an accompanying document, which sold for £5000 at the Hansons December 20 auction.